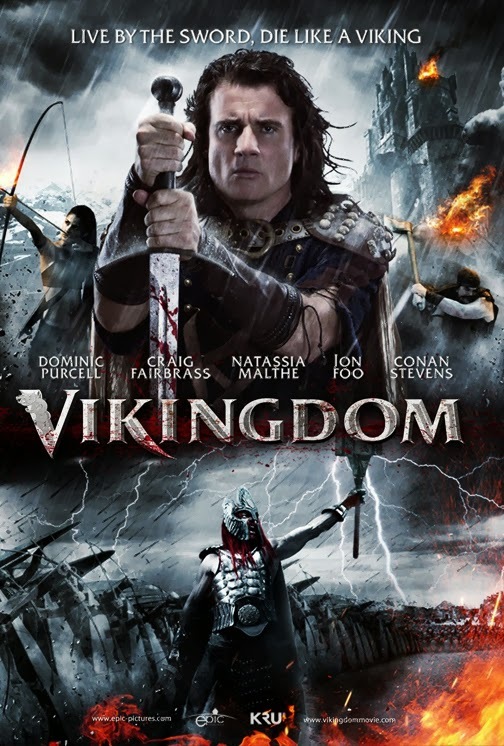 Based on Viking mythology, a forgotten King Eirick (Dominic Purcell) battles from hell and beyond to retrieve the mystical artifact, Odin’s Horn, before Thor and his army can unleash its powers to conquer the world. VIKINGDOM will be available on DVD for an SRP of $14.99. Special features include interviews with the cast. VIKINGDOM first premiered in theaters on October 18, 2013. There is a lot to both like and hate in Vikingdom. So let's start off with what I liked. The fighting scenes are amazing. With the choreography and the large scale battles with a variety of styles and weapons makes it very video game like. Especially when you have the slow motion effects with fighters in midair, makes for some amazing cinematography. Among the actors I really enjoyed are Natassia Malthe as Brynna, Craig Fairbrass as Sven as well as John Reynolds who played Eirick's zombie father Alfred. They're all great in their roles even if Natassia's character seemed a bit desperate at times with the constant touching of Eirick and him pulling away. As far as the bad, it all starts with Dominic Purcell as Eirick who unfortunately lacks the charisma to pull off the leading character role in this film. Besides having the size for the role and great in the fighting scenes, his lines and speeches are often mechanical. Even in his supposedly uplifting stirring speech towards the end to his army, his men looked as moved as when watching paint dry on the wall. Add to that the large number of extras used in the film for one liners that are also delivered with a robotic charm and it makes you wish this was a silent film. 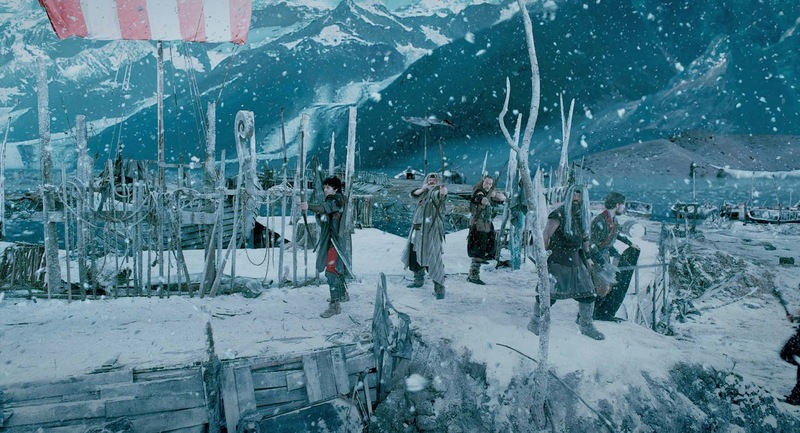 The plot is long and meandering, aiming to be like Lord of the Rings but for Vikings and Norse mythology. Vikingdom fails in comparison of course due to its more constraining budget. The costumes especially with the Gods Thor, Frey and Freya looks more Science Fiction like from say Syfy's Farscape than of what you would imagine from Norse mythology. The story itself is a bit confusing and could have been shorten in regards to the group travelling everywhere but New Jersey. Overall, I would recommend this film only if you're a big fan of large scale hand to hand battles. The movies have some great scenes involving that especially with Jon Foo as Yang. 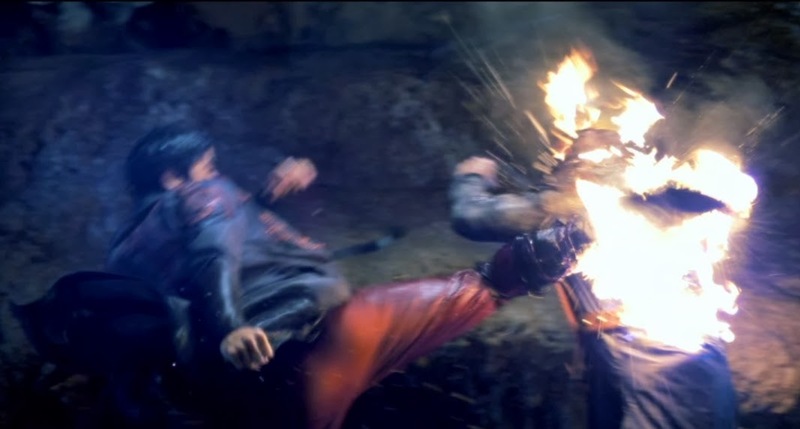 With a background in Wushu, Jon has some of the best fighting scenes in the film. I could see success in this film being turned into a video game like Dynasty Warriors. The DVD version as mentioned is out tomorrow January 21st and is available for purchase here on Amazon. The DVD bonuses include a Making of Video, Trailer, Teaser, TV Spot, Mojo Dark Cloud music video and other trailers from Epic Pictures.